I am an applied mathematician currently working as a postdoctoral researcher at the Information Sciences Institute (USC Viterbi School of Engineering) in Marina del Rey, CA. I’m interested in applying mathematical methods for the analysis of human behaviors in social networks. My research is at the intersection between machine learning and data science, multi-linear algebra, and network science. 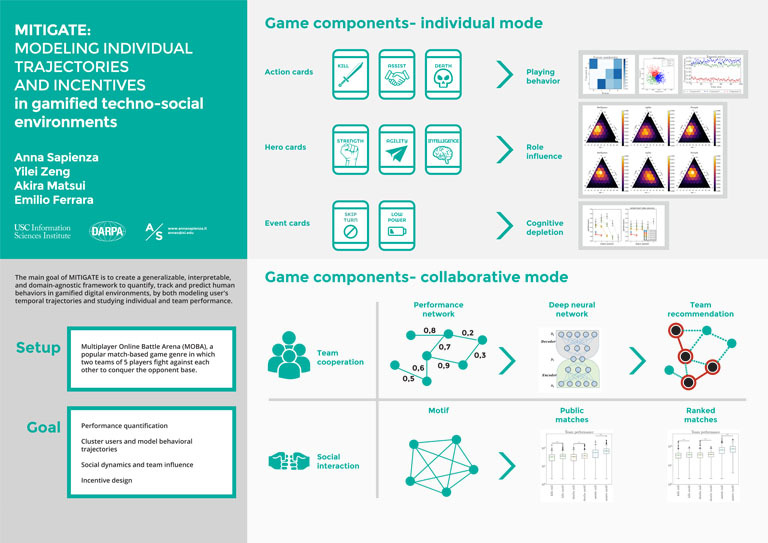 I’m currently developing my work on a DARPA (Defense Advanced Research Projects Agency) project, with the aim of monitoring and modeling human behaviors in online social networks and gamified environments. Apr 2017 – today: Postdoctoral researcher at Information Sciences Institute, Marina del Rey, CA, USA. Jan 2017 – Mar 2017: Visiting Research Assistant at Information Sciences Institute, Marina del Rey, CA, USA. Jan 2014 – Mar 2017: PhD in Applied Mathematics, Data Science Lab, ISI Foundation, Turin, Italy. Oct 2012 – Mar 2013: Internship at the “Candiolo Cancer Institute” (IRCC), Candiolo, in the System Biology group, with the aim of developing mathematical methods to study protein networks and pathways. Jan 2014 – Mar 2017: PhD in Applied Mathematics at the Polytechnic University of Turin, and Data Science Lab, ISI Foundation, Turin, Italy. Thesis: “Tensor decomposition techniques for analysing time-varying networks”. Supervised by Ciro Cattuto and Laetitia Gauvin. Sep 2011 – Oct 2013: Master Degree in Mathematical modelling and engineering, Polytechnic University of Turin. Thesis: “Localization and delocalization in chemotactic signalling”, in collaboration with the biologist team of Molecular Biotechnology Center of Turin. Oct 2008 – Oct 2011: Bachelor Degree in Mathematics in engineering, Polytechnic University of Turin, Italy. Thesis: ”Evaluation of conduction velocity for intracavitary signal in atrial fibrillation”, in collaboration with the cardiologist team of Mauriziano Umberto I hospital of Turin. DARPA YFA MITIGATE (PI Emilio Ferrara): I collected data and applied Non-negative tensor factorization techniques and other machine learning methods to investigate several aspects of individual performance and behaviour in Multiplayer Online Battle Arena (MOBA) games. I also developed a recommending system for teammates in such games, based on deep neural network techniques, with the aim of studying users’ collaborative behaviors. IARPA CAUSE (PI Kristina Lerman): I analyzed the time series related to reported cyber-attacks to study possible correlations between different events and their power in predicting new threats. I also contributed in the development and test of the DISCOVER algorithm for predicting new cyber threats form social media and online discussions. DARPA COSINE (PI Emilio Ferrara): I worked in the data collection and analysis of GitHub, to extract meaningful characteristics and statistics about GitHub users and repositories. I also worked on the embedding through Graph Factorization of the system bipartite network of users and repos to inform DASH, an agent- based simulator used to predict new events in the platform. GEO-REFERENCED POSTS: I worked on geo-referenced posts shared by Twitter users in relation to the US census tracts information of the posts’ locations with the aim of studying the mobility-induced segregation in the LA metropolitan area (work under the supervision of Kristina Lerman). Sapienza, A., Barrat, A., Cattuto, C. & Gauvin, L., (2018). Estimating the outcome of spreading processes on networks with incomplete information : a dimensionality reduction approach. Physical Review E 98.1 : 01237. Kobayashi, T., Sapienza, A. & Ferrara, E., (2018). Extracting the multi-timescale activity patterns of online financial markets. Scientific Reports. Goyal, P., Sapienza, A. & Ferrara, E., (2018). Recommending teammates with deep neural networks. Proceedings of the 29th ACM conference on Hypertext and Social Media. pp. 57-61. 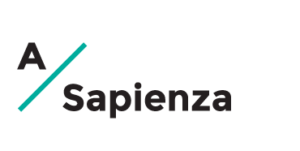 Sapienza, A., Zeng, Y., Bessi, A., Lerman, K. & Ferrara, E., (2018). Individual performance in team-based online games. Royal Society Open Science, 5.6 : 180329. Sapienza, A., Ernala, S. K., Bessi, A., Lerman, K. & Ferrara, E., (2018). DISCOVER : mining online chatter for emerging cyber threats. Companion of The Web Conference 2018 pp. 983-990. Sapienza, A., Bessi, A. & Ferrara, E., (2018). Nonnegative tensor factorization for hman behavioral pattern mining in online games. Information 9.3 : 66. Sapienza, A., Bessi, A. & Ferrara, E., (2017). Early warnings of cyber threats in online discussions. Proceedings of ICDMW’17 : Workshop of IEEE International Conference on Data Mining. pp. 667-674. Sapienza, A., Peng, H. & Ferrara, E. (2017). Performance dynamics and success in online games. Proceedings of ICDMW’17 : Workshop of IEEE International Conference on Data Mining. pp. 902-909. Campa, C. C., Germena, G., Ciraolo, E., Copperi, F., Sapienza, A., Franco, I., … & Perino, A. (2016). Rac signal adaptation controls neutrophil mobilization from the bone marrow. Sci. Signal., 9(459), ra124-ra124. Sapienza, A., Panisson, A., Wu, J., Gauvin, L., & Cattuto, C. (2015). Detecting anomalies in time-varying networks using tensor decomposition. Proceedings of IEEE ICDM’15 : International workshop on data mining in networks. Sapienza, A., Panisson, A., Wu, J., Gauvin, L., & Cattuto, C. (2015). Anomaly detection in temporal graph data : an iterative tensor decomposition and masking approach. Proceedings of AALTD 2015, 117. “Performance Dynamics and Success in Online Games”. Warnings of Cyber Threats in Online Discussions”. Sep 18-22, 2017: Talk at “CCS’17: Conference on Complex Systems”, Cancun, Mexico. Title: “A tensor decomposition-based method to estimate the spreading process outcomes for temporal networks with incomplete information”. Sep 18-22, 2017: Talk at “CCS’17: Conference on Complex Systems”, Cancun, Mexico. Title: “Human behavioural patterns in online games”. Indiana. Title: Tensor decomposition method for spreading processes on temporal networks with partial information. Sep 20-22, 2016: Talk at “CCS’16: Conference on Complex Systems”, Amsterdam, The Netherlands. Title: Generative model of temporal networks for studying dynamical processes. Sep 19, 2016: Poster and ignite at “ECML PKDD 2016, PhD Forum”, Riva del Garda, Italy. Title: Tensor decomposition techniques for temporal graph mining. Jul 11-13, 2016: Talk at “Complex Networks: from theory to interdisciplinary applications”, Marseille, France. Title: Joint factorization for analysing multi-dimensional data. Nov 14-17, 2015: Talk at “IEEE ICDM 2015: International workshop on data mining in networks”, Atlantic City, NJ, USA. 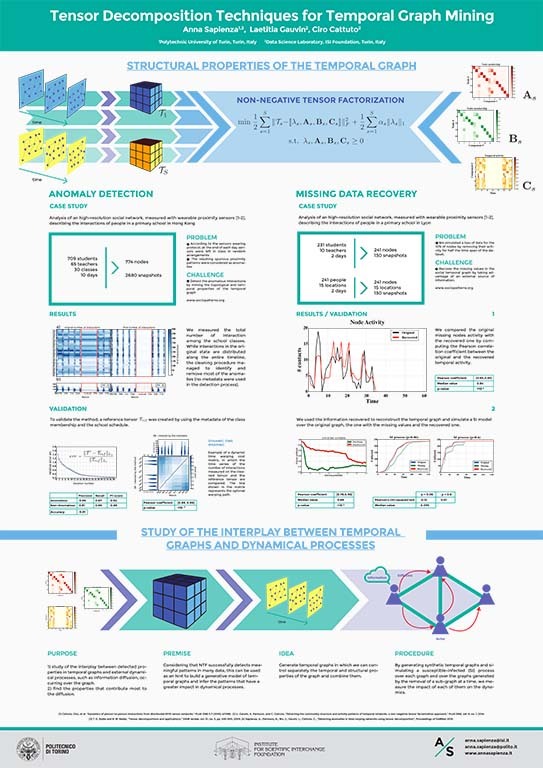 Title: Detecting anomalies in time-varying networks using tensor decomposition. 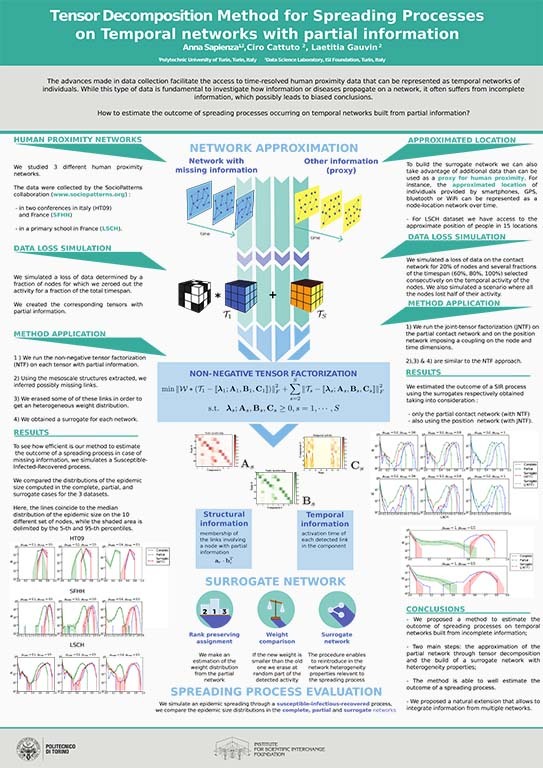 Poster at “ECML PKDD 2015, workshop on advanced analytics and learning on temporal data”, Porto, Portugal. 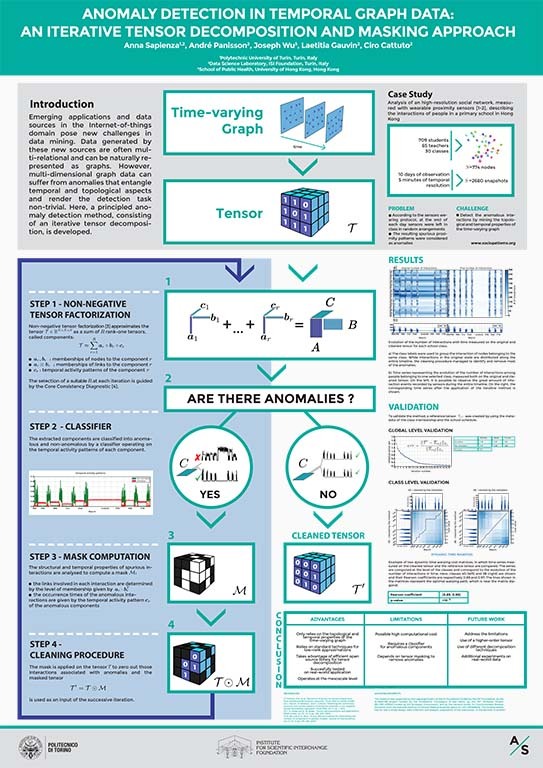 Title: anomaly detection in temporal graph data: an iterative tensor decomposition and masking approach. Coursera: ‘Neural Networks and Deep Learning’, ‘Improving Deep Neural Networks: Hyperparameter tuning, Regularization and Optimization’, ‘Structuring Machine Learning Projects’. data science, machine learning, data collection and analysis, social network dynamics, data for social good. Local co-chair of the 2018 Summer School on Computational Social Science, held at the USC Information Sciences Institute, Marina del Rey, CA. Co-organizer at the workshop ACUMEN: Data science for human performance in social networks, held in New Orleans during ICDM’17. May 4 th , 2018: SDM’18 Tutorial: “The Canonical Polyadic Tensor Decomposition”. San Diego, CA, USA. May 11-21, 2016: MLSS’16 “The machine learning summer school”, Càdiz, Spain. Feb 2-4, 2015: Winter school: “Search for latent variables: ICA, tensors and NMF”, Villard de Lans, Grenoble, France. Sep 19-21, 2014: Summer school on: “An interdisciplinary approach to tensor decomposition”, CIRM, Trento, Italy. Apr 7-18, 2014: Les Houches Thematic school on: “Structure and Dynamics of Complex Networks”, École de physique des Houches, France. Jan 2014 – Mar 2014: “Data Mining, Statistical Modelling and Machine Learning” course, University of Turin. Theoretical part: machine learning algorithms, supervised/unsupervised methods, validation techniques. Practical part: Ipython notebook classes, Kaggle competition. USC/ISI Summer interns: Mert Ozer (2018, PhD student at Arizona State University), Zhao Wang (2018, PhD student at Illinois Institute of Technology), Hao Peng (2017, PhD student at Indiana University), Sindhu K. Ernala (2017, PhD student at Georgia Tech University), Susan Fennell (2017, PhD at University College Cork). USC Viterbi CS PhD students: Palash Goyal, Yilei Zeng, Akira Matsui, Di Huang. Intervention for educational guidance at the scientific high school E. Majorana, Moncalieri, To, Italy, 2015.